B.B. Amberker received his Ph.D. from Department of Computer Science & Automation, Indian Institute of Science, Bangalore in 1996. He has worked in various technical institutions in Karnataka including National Institute of Technology, Suratkal. He is currently Professor, Department of Computer Science & Engineering, National Institute of Technology, Warangal. He is member of many Professional Bodies. B.B. Amberker, N.R.Sunitha and P. Koulgi, Forward Security for an ElGamal-like Signature Scheme, National conference on Mathematical Foundations of Coding, Complexity, Computation and Cryptography, IISc., Bangalore , June 2006. B.B. Amberker, P. Koulgi and M.B. Nirmala, Some Implementation Issues in Fiat-Noar Broadcast Encryption Schemes, Fourteenth International Conference on Advanced Computing (ADCOMP 2006), 2006. B.B. Amberker, P. Koulgi and N.R. Sunita, Forward Secure Signatures for Unbounded Time Periods in Mobile Computing Applications, International Journal of Computer Science and Network Security (IJCSNS),, Vol.7, No.5, pp. 208-212., May 2007. B.B. Amberker, A.S. Poornima, and R.Aparna, Storage and Rekeying Cost for Cumulative Member Removal in Secure Group Communication, International Journal of Computer Science and Network Security (IJCSNS),, Vol.7, No.9, pp. 212-220., September 2007. B.B. Amberker, P. Koulgi and N.R. Sunita, Controlled delegation in e-cheques using Proxy Signatures, IETECH Journal of Advanced computations, Vol 1, 2007. B.B. Amberker, R.Aparna, Multi-sender Multi-receiver Authentication for Dynamic Secure Group Communication, International Journal of Computer Science and Network Security (IJCSNS),, Vol.7, No.10, pp. 310-315., October 2007. B.B. Amberker, P. Koulgi and N.R. Sunita, Repetitive Keys in Forward Secure Signatures with Forgery Detection, Fifth Annual Conference on Information Science Technology and Management 2007, July 16-18, 2007. B.B. Amberker, P. Koulgi, Siddharth P. and N.R. Sunita, Secure e-cheque clearance between Financial Institutions, Joint IEEE Conference on E-Commerce Technology (CEC' 07) and Enterprise Computing, E-Commerce and E-Services (EEE ' 07) , Tokyo, Japan, July 24 ï¿½?? 26, 2007. B.B. Amberker, P. Koulgi, R. Aparna and A.S Poornima,, SDS: A New Distributed Key Management Technique, International Conference on Information Processing (ICIP), Bangalore, August 10 ï¿½?? 12, 2007. B.B. Amberker, P. Koulgi and N.R. Sunita, Controlled delegation in e-cheques using Proxy Signatures, Eleventh IEEE International EDOC Conference (EDOC 2007) on Enterprise Computing, Annapolis, Maryland, U.S.A, October 15-19, 2007. B.B. Amberker, P. Koulgi and A.S Poornima, String Search using Convolutional Codes, Fourth International Conference on Cryptography, Coding and Information Security (CCIS 2007) , Venice, Italy, November 23-25, 2007. B.B. Amberker, R.Aparna, Authenticated Secure Group Communication using Broadcast Encryption Kay Computation, 4th International Conference on Cryptography, Coding and Information Security (CCIS 2007), Venice, Italy, November 23-25, 2007. B.B. Amberker, R.Aparna, A.S. Poornima and Prashant Kouligi, String Searching in Dispersed files using MDS Convolutional Codes, Proceedings of world academy of science, engineering and technology, volume 25, November 2007. B.B. Amberker, N.R. Sunita, and Prashant Koulgi, Transferable e-cheques: An application of Forward-Secure Serial Multisignatures, In Sio-long Ao, Burghard B. Rieger, Su-Shing Chen, Editors, Advances in Computational Algorithms and Data Analysis, Lecture Notes in Electrical Engineering (LNEE), Springer, 2008 (as a Chapter of the book). B.B. Amberker, and N.R. Sunita, Proxy Signature Schemes for Controlled Delegation, Journal of Information Assurance and Security (JIAS), Vol 3, Issue 3, 2008. B.B. Amberker , N.R. Sunitha, Some Aggregate Forward-Secure Signature Schemes, International Journal of Information Assurance and Security, Vol 3, Issue 4, 2008. B.B. Amberker , N.R. Sunitha, Secure Signature Protocols, ACM Compute 2008 Doctoral Consortium, Jan 18-20 2008, Banglaore, India. B.B. Amberker, and A.S Poornima, A Secure Group Key Management Scheme for Sensor Networks, 5th International Conference on Information Technology,: New Generations, ITING 2008, April 7-9, Las Vegas, Nevada, USA, 2008. B.B. Amberker, and N.R. Sunita, Proxy Re-Signature Schemes,.4th International Conference on Information Systems Security, ICISS-2008, Hyderabad, India, December 16-20, 2008. N.R. Sunitha, B.B. Amberker, New Signature Derivation using existing Signatures International Journal of Recent Trends in Engineering, (IJRTE 2009), Academy Publishers, Finland, Vol 1, No 1, pp. 47 ï¿½?? 51, 2009. A.S. Poornima, B.B. Amberker, Key Management Schemes for Secure Communication in Heterogeneous Sensor Networks International Journal of Recent Trends in Engineering, (IJRTE 2009), Academy Publishers, Finland, Vol 1, No 1, pp 243 ï¿½?? 247, 2009. N.R. Sunitha, B.B. Amberker, Some Aggregate Forward-Secure Signature Schemes, International Journal of Information Assurance and Security (JIAS), Vol 3, Issue 4, 2009, pp. .84-90. R. Aparna, B.B. Amberker, Analysis of Key Management Schemes for Secure Group Communication and Their Classification, Journal of Computing and Information Technology ï¿½?? CIT 17, 2, pp 203 ï¿½?? 21, 2009. Nagaraj V. Dharwadkar, B.B. Amberker, Joshi Sushil Raj, Visual Cryptography for Gray-level Image using Adaptive Order Dither Technique, Journal of Applied Computer Science and Mathematics, Vol. 3, No.6, pp. 60-65, 2009. 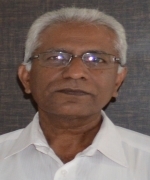 Nagaraj V. Dharwadkar, B.B. Amberker, Joshi Sushil Raj, Secure Watermarking Scheme for Color Image using Intensity of Pixel and LSB Substitution, The Journal of Computing, Vol 1, No.1, pp. 1- 6, December 2009. Nagaraj V. Dharwadkar, B.B. Amberker, Joshi Sushil Raj, Visual Cryptography for Color Image using Color Error Diffusion, ICGST International Journal on Graphics, Vision and Image Processing (GVIP), Vol.10, No.1, pp. 1 ï¿½?? 8, 2009. Nagaraj V. Dharwadkar, B.B. Amberker, Blind Watermarking Scheme for Gray Scale and Colour Images Using Biorthogonal Wavelet, International Journal of Computer and Internet Security, ISSN 0974-2247, Vol.1, No. 3, pp.83 ï¿½?? 113, Oct 2009. B.B. Amberker, R. Aparna, Key Management Scheme for Multi-Layer Secure Group Communication, The First International Conference on COMmunication Systems and NETworkS (COMSNETS), Bangalore, Jan 5 ï¿½?? 10, 2009. B.B. Amberker, and A.S. Poornima, An Energy Efficient Deterministic Key Establishment Scheme for Clustered Wireless Sensor Networks, 16th annual IEEE International Conference on High Performance Computing (HiPC 2009), December 16 ï¿½?? 19, Kochi, India, 2009. B.B. Amberker, R. Aparna, Divya Pola, Pranjal Bhatia, Secure Group Communication Using Binomial Trees, 3rd IEEE International Symposium on Advanced Networks and Telecommunication Systems (ANTS), December 14 ï¿½?? 16, New Delhi, India, 2009. B.B. Amberker, R. Aparna, Key Management Scheme for Multiple Simultaneous Secure Group Communication, 3rd International Conference on Internet Multimedia Systems Architecture Application, 2009 (IMSAA - 09), December 9 ï¿½?? 11, Bangalore, India, 2009. B.B. Amberker, N.R. Sunitha, Multi-use Unidirectional Forward-Secure Proxy Re-signature Scheme, IEEE Workshop on Collaborative Security Technologies (CoSec 2009), C-located with 3rd International Conference on Internet Multimedia Systems Architecture Application, 2009 (IMSAA - 09), December 9, Bangalore, India, 2009. Nagaraj V. Dharwadkar, B. B. Amberkar, An Improved Reversible Steganography Scheme Based on Dual Cover Image, Int. J. Multimedia Intelligence and Security, Vol. 1, No. 4, pp. 336-349, 2010. A.S. Poornima and B.B. Amberker, Agent Based Secure Data Collection in Heterogeneous Sensor Networks, The 2nd International Conference on Machine Learning and Computing (ICMLC 2010), Bangalore, India, February 9-11, 2010.69. A.S. Poornima and B.B. Amberker, Logical Ring based Key Management for Clustered Sensor Networks with Changing Cluster Head, International Conference on Signal Processing and Communications - 2010 (SPCOM 2010), IISc, Bangalore, India, July 18-21, 2010.70. A.S. Poornima and B.B. Amberker, SEEDA : Secure End-to-End Data Aggregation in Wireless Sensor Networks, Seventh International Conference on Wireless and Optical Communication Networks (WOCN 2010), September 6-8, 2010.71. A.S.Poornima, B.B.Amberker, Secure Data Collection in Sensor Networks using Tree based Key Management and Secret Sharing, 6th International Conference on Next Generation Web Services and practices, Nov. 18-21, Gwalior, 2010.72. A.S.Poornima, B.B.Amberker, Key Establishment Scheme for Clustered Sensor Networks using Secret Sharing, 6th International conference on Information Systems Security (ICISS-2010), Dec. 15-19, Gujarat, 2010.73. Nagaraj Dharwadkar and B.B. Amberker, Estimating the Embedding Capacity of a Color Image using Color Difference, Seventh International Conference on Wireless and Optical Communication Networks (WOCN 2010), September 6-8, 2010.74. Nagaraj Dharwadkar and B.B. Amberker, S. Kualkarni, P.B. Panchannawar Reversible Fragile Medical Image Watermarking with zero Distortion, IEEE International Conference on Computer and Communication Technology (ICCCT-2010), Allahabad, September 17-19, 2010.75. R.Aparna, B.B.Amberker, Amoolya.P, Archana.J, Divya.K, DivyashreeJagadeesh., Implementation of Key Management Scheme for Multiple Simultaneous Secure Group Communication, International Conference on Communication, Computation, Control and NanoTechnology (ICN-2010), Oct.29-30, 2010. Poornima A.S, B.B.Amberker, PERSEN: Power Efficient Logical Ring based Key Management for Clustered Sensor Networks, Int. J. of Sensor Networks 2011 - Vol. 10, No.1/2 pp. 94 - 103, 201177. A.S. Poornima, B.B.Amberker, Secure Data Collection Using Mobile Data Collector in Clustered Wireless Sensor Networks, IET Wireless Sensor Systems, Vol.1, No.2, pp.85--95, June, 2011. 78. Aparna R, B.B. Amberker, Efficient Scheme to Handle Bursty Behavior in Secure Group Communication using Binomial Trees, Security and Communication Networks, Volume 4, Issue 9, Pages: 1027ï¿½? ?1043, September 2011.79. Shilpa S G, N.R. Sunitha, B.B. Amberker, A Trust Model for Secure and QoS Routing in MANETS, International Journal of Innovative Technology & Creative Engineering, pp.22-31, Vol.1 No.5 MAY 2011.80. Nagaraj Dharwadkar and B.B. Amberker, Non-blind Watermarking scheme for color images in RGB space using DWT-SVD, International Conference on Communications and Signal Processing (ICCSP 2011), Calicut, India, February 10 ï¿½?? 12, 2011.82. Purushothma B.R and B.B. Amberker, Group Key Management Scheme for Simultaneous Multiple Groups with Overlapped Membership, The third International Conference on COMmunication Systems and NETworkS (COMSNETS 2011), January 4 ï¿½?? 8, Bangalore, India, 2011.83. Nagaraj Dharwadkar and B.B. Amberker, High perceptual quality and robust color image watermarking scheme using Julian set patterns in DWT-SVD, International Journal of Tomography & Statistics, Volume 19, Issue Number 1, pp 14-31, 2012. 85. Nagaraj V.Dharwadkar and B. B. Amberker, Secure and distortionless gray-scale medical image watermarking scheme, Journal of Medical Imaging and Health Informatics, American Scientific Publishers, Vo.2, No.3, September, 201286. Aparna R, B.B. Amberker, Key Management Schemes for Multilayer and Multiple Simultaneous Secure Group Communication, ISRN Communications and Networkworking, Volume 2012, 2012.87. B. R. Purushothama, B B Amberker, Secure group and multi-layer group communication schemes based on polynomial interpolation, Security and Communication Networks, Vol.6, Issue 6, pp. 735 ï¿½?? 756, June 2013. Purushothma B.R and B.B. Amberker, Access Control Mechanisms for Outsourced Data in Cloud, The fourth International Conference on COMmunication Systems and NETworkS (COMSNETS 2012), January 3 ï¿½?? 7, Bangalore, India, 2012.90. Sagar Gujjunoori and B.B. Amberker, A DCT Based Reversible Data Hiding Scheme for MPEG-4 Video, The International Conference on Signal, Image and Video Processing (ICSIVP) 2012, IIT Patna, Jan 13 ï¿½?? 14, 2012.91. Nagaraj Dharwadkar and B.B. Amberker, High Embedding Capacity and Fast Imaging watermarking using Reversible Contrast Mapping, The International Conference on Signal, Image and Video Processing (ICSIVP) 2012, IIT Patna, Jan 13 ï¿½?? 14, 2012.92. Purushothama B. R., and B.B. Amberker, Remote Data Checking and Dynamic Access Control schemes for Outsourced Data in Cloud, International Conference on Industrial and Intelligent Information (ICIII 2012), Singapore, March 17 ï¿½?? 18, 2012. 93. Nagaraj V.Dharwadkar, B. B. Amberker, Reversible Steganographic Scheme with High Embedding Capacity using Dual Cover Images, 9th International Conference on Security and Cryptography (SECRYPT), Rome, Italy, 24 ï¿½?? 27, July, 201294. Thejaswini S, N R Sunitha, B B Amberker, Role Based Dynamic Trust Model for Routing in Mobile Wireless Sensor Networks, Sixth International Conference on Information Processing-ICIP 2012, August 10th to 12th, 2012, Bangalore, INDIA 95. Sagar Gujjunoori and B. B. Amberker, A DCT Based Reversible Data Embedding Scheme for MPEG-4 Video Using HVS Characteristics, The Eighth Indian Conference on Computer Vision, Graphics and Image Processing (ICVGIP 2012), 16 - 19 December 2012, IIT Bombay. B. R. Purushothama, Kusuma Shirisha, B. B. Amberker, Secure Group Key Management Scheme for Simultaneous Multiple Groups with Overlapped Memberships Using Binomial Key Tree, International Conference on Security in Computer Networks and Distributed Systems (SNDS-2012), CCIS- Springer, Vol 335, pp.135-146. B. R. Purushothama, B B Amberker, Duplication with Trapdoor Sensitive Attribute Values: A New Approach for Privacy Preserving Data Publishing, International Conference on Communication, Computing & Security, Elsevier Procedia Technology, Vol 6, NIT Rourkela, 2012, Pages 970ï¿½??977. A.S. Poornima and B.B. Amberker, Secure End-to-End Data Aggregation (SEEDA) Protocols for Wireless Sensor Networks, Ad Hoc & Sensor Wireless Networks, Vol 17, No. 3 ï¿½?? 4, p.193 ï¿½?? 219, 2013102. B. R. Purushothama, B. Srinath, B B Amberker, Secure Cloud Storage Service and Limited Proxy Re-Encryption for Enforcing Access Control in Public Cloud, International Journal of Information and Communication, vol. 5, No. 2, pp.167 ï¿½?? 186, 2013. B. R. Purushothama, B B Amberker, Secure Group Key Management Scheme for Simultaneous Multiple Groups with Overlapped Memberships Using Binomial Key Tree With New Approach To Key Distribution and Key Computation, International Journal of Trust Management in Computing and Communications (IJTMCC) journal, vol.1, No.2, pp. 175 ï¿½?? 198, 2013. Syed Taqi Ali, B. B. Amberker, A Dynamic Constant Size Attribute Based Group Signature Scheme with Attribute Anonymity, Int. J. of Information Privacy, Security and Integrity (IJIPSI), Vol. 1, No. 4, 2013.105. Sagar Gujjunoori and B. B. Amberker, A DCT Based Reversible Data Embedding Scheme for MPEG-4 Video Using HVS Characteristics, Journal of Information Security and Applications, vol.18, No.4, pp. 157 ï¿½?? 166, December 2013. 106. Sagar Gujjunoori and B. B. Amberker, Reversible data Embedding for MPEG-4 Video, Journal of Information Hiding and Multimedia Signal Processing, Vol.5, No. 3, pp. 391 ï¿½?? 402, July 2013. A.S. Poornima and B.B. Amberker, Key establishment protocols for secure communication in clustered sensor networks, Int. J. of Communication Networks and Distributed Systems , Vol. 11, No.2 pp. 120 - 138, 2013. Sagar Gujjunoori and B. B. Amberker, A Reversible Data Embedding Scheme for MPEG-4 Video Using HVS Characteristics, International Conference on Intelligent System and Signal Processing (ISSP2013), Gujarat, India, 1 - 2 March, 2013.109. Nagaraj V. Dharwadkar and B. B. Amberker, An Adaptive gray-Scale image Watermarking Scheme using Smooth and Edge areas of an image, International Conference on Intelligent System and Signal Processing (ISSP2013), Gujarat, India, 1 - 2 March, 2013.110. B.R. Purushothama, B.B. Amberker, Secure Group Key Managenent Scheme Based on Dual receiver Cryptosystem, 2013 ACM Asia Public-Key Cryptography Workshop (AsiaPKC 2013), May 7, 2013, Hangzhou, China. B.R. Purushothama, B.B. Amberker, Provable Data Possession Scheme with Constant Proof Size for Outsourced Data in Public Cloud, Second International Workshop on Cloud Computing & Identity Management (CloudID 2013), August 22-25, 2013, Mysore, India. Syed Taqi Ali, B.B. Amberker, Short Attribute-Based Group Signature without Random Oracles with Attribute Anonymity, International Symposium on Security in Computing and Communications (SSCC-13), August 22-25, 2013, Mysore, India. B.R. Purushothama, B.B. Amberker, Secure Multilayer Key Management Scheme With New Multilayer Rekeying Approach, Second International Conference on Advances in Computing, Communication and Informatics (ICACCI), August 22-25, 2013, Mysore, India. Syed Taqi Ali, B.B. Amberker, Dynamic Attribute Based Group Signature with Attribute Anonymity and Tracing in the Standard Model, Third International Conference on Security, Privacy and Cryptographic Applications (SPACE - 2013), October 19 - 23, 2013, IIT Kharagpur, India. Syed Taqi Ali, B. B. Amberker, Dynamic attribute-based group signature with verifier-local revocation and backward unlinkability in the standard model, Int. J. of Applied Cryptography, Vol. 3, No.2 pp. 148 - 165, 2014. R. Sunitha, New Signature Protocols and Applications in e-Banking (2010). Aparna, Key Management and Authentication Schemes for Secure Communication in a Group, Multiple Groups, Multi-layer Groups and Managing Bursty Behavior in a Group (2011). S. Poornima, Secure Protocols for Clustered Wireless Sensor Networks: Key management, Data Collection and Data Aggregation (2012). Workshop on Foundations of Information Security conducted during 1st and 5th October, 2007 at Dept. of Computer Science & Engineering, National Institute of Technology, Warangal. MHRD sponsored Advanced Technology Programme (Research Oriented) on Network Programming & Security conducted during 9th June to 21st June 2008 at Dept. of Computer Science & Engineering, National Institute of Technology, Warangal. Workshop on Database Security conducted during 5th and 9th March, 2012, Information Security Education and Awareness (ISEA) Project funded by Ministry of Communication and Information Technology, GoI, at Dept. of Computer Science & Engineering, National Institute of Technology, Warangal. Department of Information Technology Letter No. No.6(2)/2004-ISEA (Vol.II) . NATIONAL MISSION on EDUCATION Through Information and Communication Technology (NMIEICT), Department of Higher Education, Ministry of Human Resource Development, Government of India, New Delhi.